People wear dentures to replace lost or missing teeth so they can enjoy a healthy diet and smile with confidence. Dentures are made of either acrylic or metal. 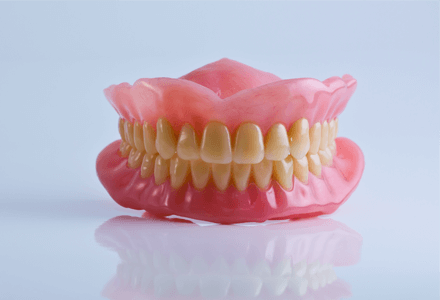 A 'complete' or 'full' denture is one, which replaces all the natural teeth in either the upper or lower jaw, while a 'partial' denture fills in the spaces left by lost or missing teeth. It may be fastened to your natural teeth with metal clasps or 'precision attachments'. Dentures are constructed to take the place of missing teeth. There can be multiple reasons for tooth extraction. However, the left out space creates chewing issues for the person. Hence, dentures are used to fill that space. Different variety of dentures are suggested by doctors, including partial or complete dentures. Shah’s Dental Serenity is where you get in touch with renowned dental specialists. Our facility ensures a convenient time and procedure to complete replacement of missing teeth with dentures. Using advanced machines and latest materials, we provide best possible dentures for you. 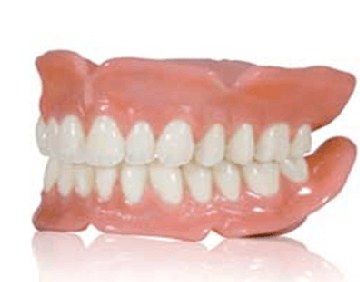 We have complete dentures for removed natural teeth. You can choose between immediate or conventional ones. The conventional dentures require about 8 to 12 weeks after teeth extraction. You can get partial dentures for a single or multiple tooth replacement. These dentures require proper cleaning and help you chew better. Also, you get proper jawline and facial structure. Specialized Dental Facility In Mumbai For Dentures. Why Shah’s Dental Serenity for dentures ? Get reliable denture service in Mumbai! Find us via call or email. We quickly respond to appointment requests. So, you won’t have to wait for long. Take care of your oral health with Shah’s Dental Serenity!